The loungechair LayBack has an elegant appearance. 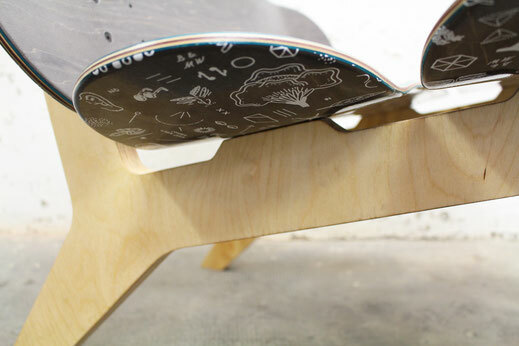 It is made from 4 maple skateboards and 2 birch plywood feet . The backrest of the chair is mounted flexibly, so you will be surprised about the comfort of this furniture. 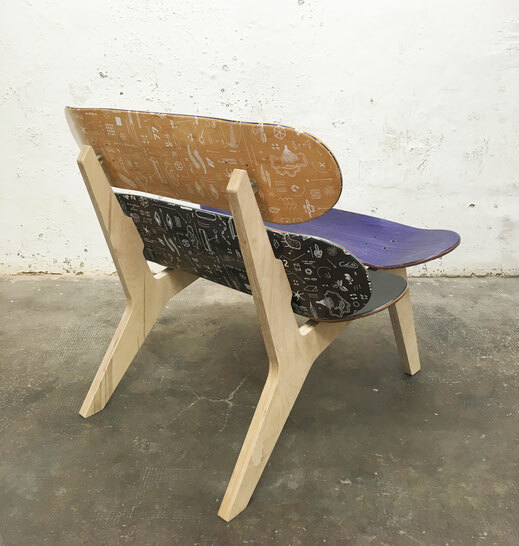 Designed with skateboarding in mind - this lightweight lounge chair is about to be produced.  We are happy if you support Mister Wilson in advance to bring the Layback lounge chair to life. 11.05.2019 - 19:00 - 22:00 Releaseparty of the LayBack lounge chair in the Stuttgart showroom. If you are close we are happy to meet you. Pick it up and enjoy a kreative evening in our Workingspace. 15.05.2019 - shipping the LayBack lounge chair to all european customers. The LayBack comes unassambled. With the delivered screws and tool you can easily set up your lounge chair at home. 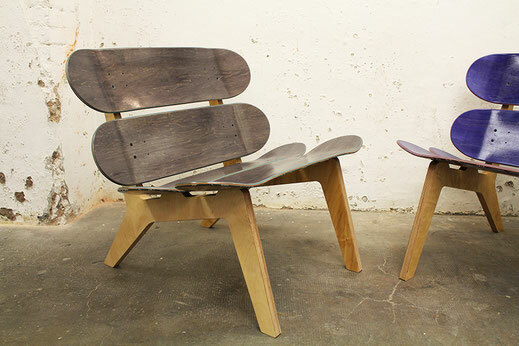 If you have 2 to 4 own skateboards with the same wheelbase we can use these also for your personal lounge chair. Please check the skateboard colour options we have below. We are working on the graphics for the lounge chair skateboards. and are excited - this is gonna be good looking. Preorder of the Layback lounge chair. We are ready to start the production. Thank you for your support. You will recieve your lounge chair in Mai 2019. If you have any questions about the product and order please don´t hesitate to write us a message.